Facebook's Location, Check-In Feature - Facebook Places unveiled. 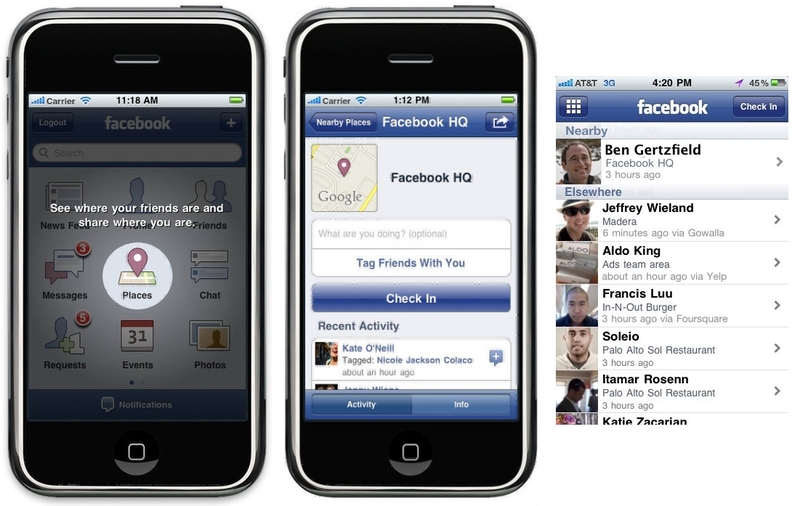 “Facebook Places” Unveiled – Foursquare In Danger? Facebook has finally unveiled their much awaited Location / Check-in feature just before Foursquare was trying to get the ball in it's court! (No pun intended). This new location feature from Facebook - titled "Facebook Places" allows users to "check in" at locations which is then shared with their friends and Facebook network, that is only if the user chooses to! Gowalla - Can post your Check-In to Facebook. Booyah a new iPhone app, InCrowd in the coming weeks that will be a mix of game and social utility based around Facebook Places.